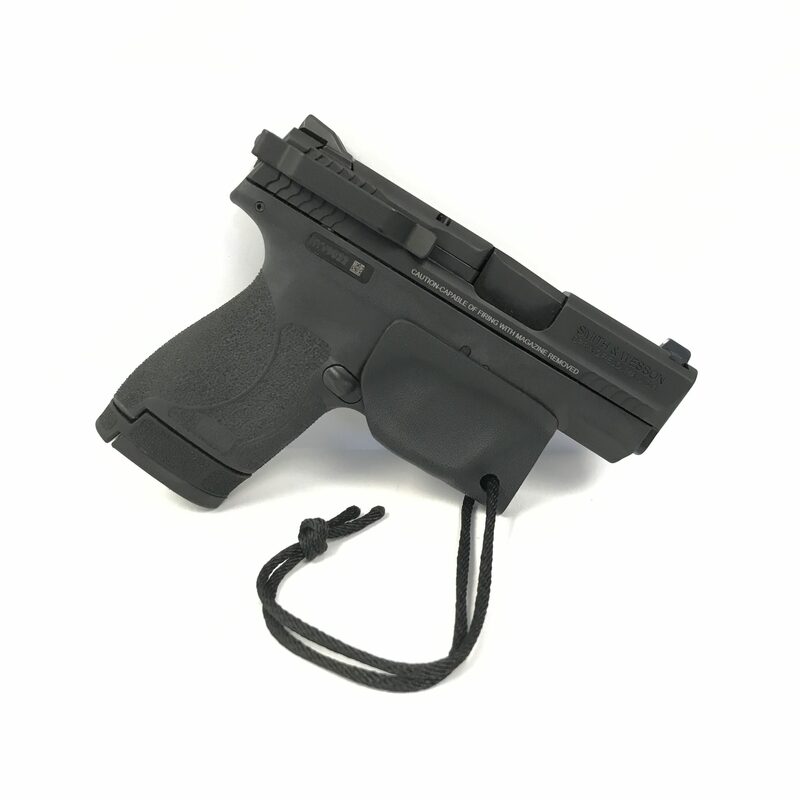 KYDEX TRIGGER GUARD MADE SPECIFICALLY TO FIT YOUR M&P PISTOL. GUARD REMOVES ITSELF WHEN PISTOL IS DRAWN - NO EXTRA STEPS FOR THE SHOOTER! Stop dressing ‘around’ your holster – wear the clothes you want while comfortably and securely carrying your concealed M&P PISTOL. 4 Screws, 4 Washers (only 2 are required, 2 are extra) and Allen Wrench for Installation of clip to replacement slide cover plate. Each Clipdraw is made to the exact specs of your pistol! Add a custom engraving to your M&P Clipdraw! 3. Using a pin punch or screwdriver - press down on white or gray spacer located in the slide of your gun and press towards the muzzle. 4. With your other hand - carefully remove the slide cover plate. Be Careful! Components are spring loaded. 5. Install Clipdraw replacement slide cover plate by pressing on white plastic insert at back end of slide while simultaneously inserting slide cover plate into position. 6. Mount the clip on either side using screws, washers and allen wrench provided. Be the first to review “S&W M&P TRIGGER SHEATH COMBO” Click here to cancel reply.